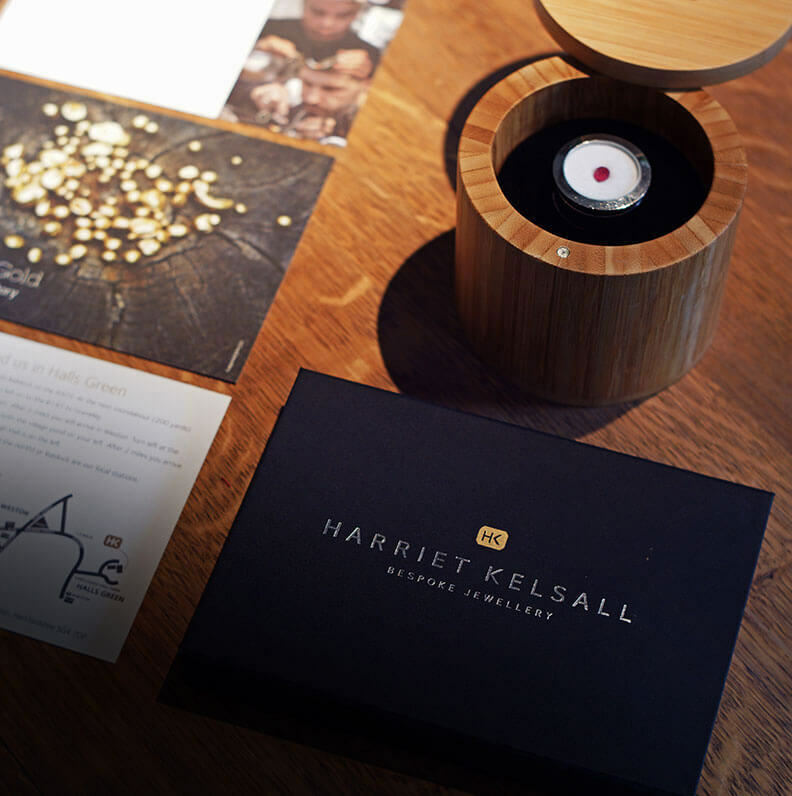 Treat someone special to a bespoke experience with our ‘Commission in a Box’. 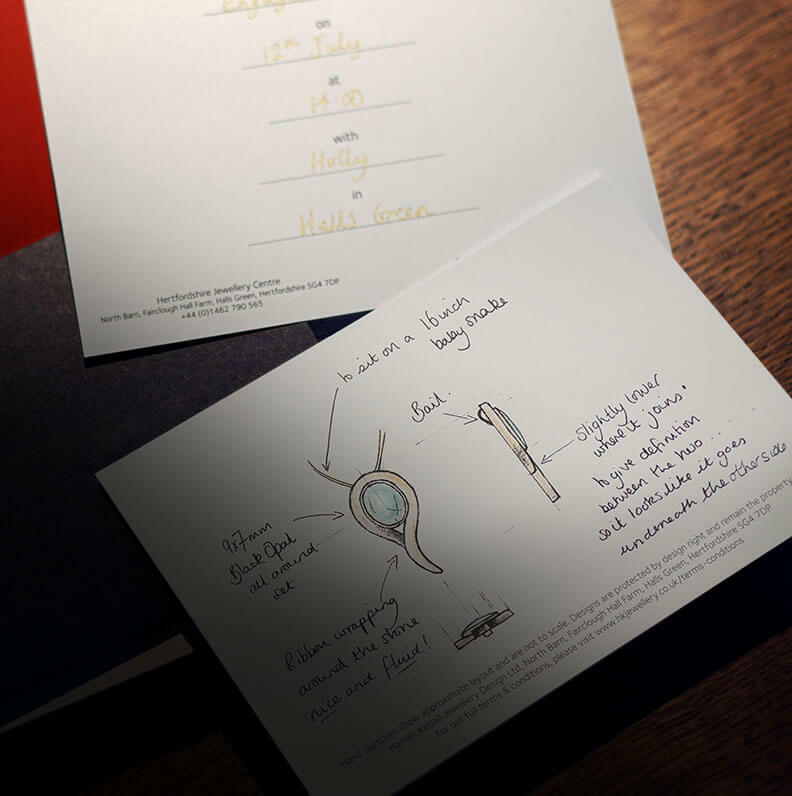 Presented in our signature presentation box, your loved one will receive handwritten cards showing a pre-arranged design consultation, information about us, along with recommendations of places to eat and stay. You might have also asked us for hand drawn sketches or even purchased a gemstone as a starting point and if so these will be inside too. 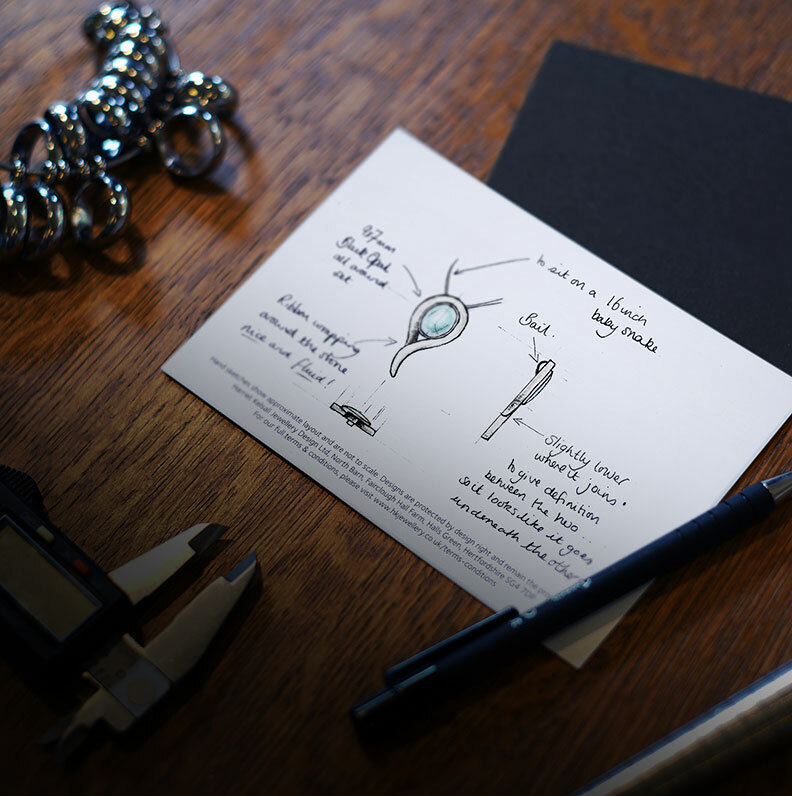 After the gift has been unwrapped the recipient will be able to enjoy the experience of having a one-off piece of jewellery designed just for them. As we’ll have spoken to you before, we’ll know the budget you have in mind and we won’t exceed the specified amount. A personal and thoughtful gift for a special occasion. Our Commission in a Box costs £24 which is deducted from your final bill if you go ahead with your commission. You define the maximum budget for the commission.